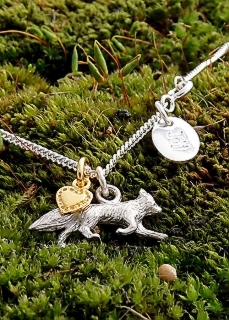 A swift silver fox in beautiful detail paired with a tiny vermeil heart. 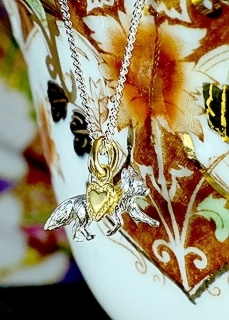 We adore this little Silver Fox Vermeil Heart Necklace. Small yet striking and unusual, this fox and heart necklace can be worn everyday and is bound to be admired. This piece of nature inspired jewellery was designed in London and has been handcrafted using traditional lost wax casting. 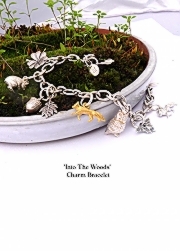 A wild woodland scene on a Sterling Silver charm bracelet! 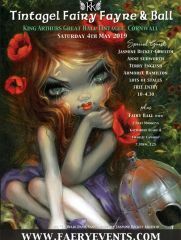 Alice tumbling - Like Alice, we begin our journey tumbling down the rabbit hole. 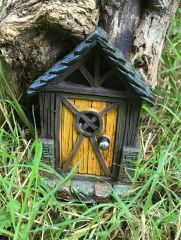 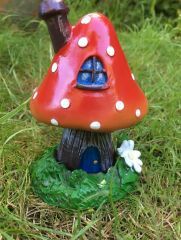 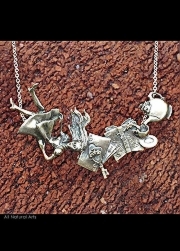 This piece captures the sense of disorientation Alice must have felt as she fell into Wonderland. 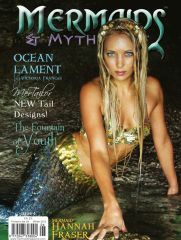 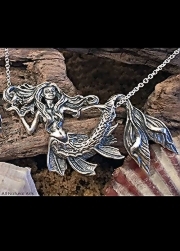 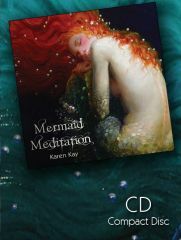 This magical mermaid is elegantly draped on a chain and beckons you to join her on her enchanting journey. 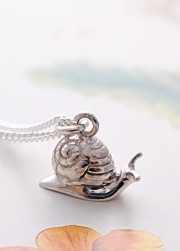 This adorable silver Snail Necklace is a cute piece of jewellery perfect for casual, everyday wear. A beautiful golden fairy poised on a twinkling jewel. 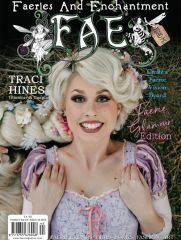 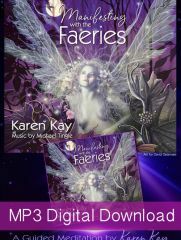 Our Focus Fairy holds her wings and arms outstretched, pointing her toes as she stands on a tiny cubic zirconia. 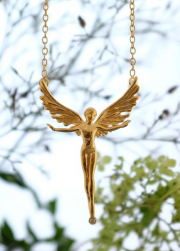 Plated in 24ct yellow gold, this fairy glows as she flies from a delicate chain. 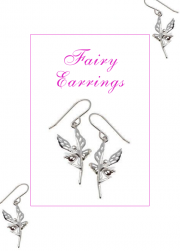 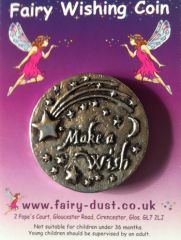 Pretty little fairies on elegant Sterling Silver earrings.